What are the deepest questions human beings can ask? Questions like, “How do I know the world is real?”, “Does God exist?” and “What is the difference between right and wrong?” are the questions of philosophy. If someone begins wondering about those questions, then he or she has already started to think like a philosopher. When questions about the direction, purpose, and morality of the human race impassion thinkers, they should consider studying philosophy in the US. Those questions have driven science, theology, literature, and political thought to greater and greater heights. In the recent Time Magazine special edition, “100 Ideas that Changed the World: History’s Greatest Breakthroughs,” over 60 ideas were developed by philosophers. Even so, students often wonder what career paths are available to philosophers. Great ideas or not, one has to eat! It is difficult to imagine what one can do with a philosophy degree. Philosophers aren’t seen on the street corners selling philosophical items, nor do they find themselves listed in the phone book under “Thinking Repair.” So what exactly do philosophers do? Well, one thing philosophers tend to do is very well is whatever their chosen job happens to be. Students who complete their bachelor’s degree in philosophy score, on average, better than English majors on the verbal section of the GRE and better than all other liberal arts majors on the math section of the GRE. The higher test scores of philosophy majors is likely due to the fact that students who major or minor in philosophy learn the arts of critical thought and sound argumentation, which are often the bedrock for success in other fields of study. Because of philosophy major’s skills in critical thought, many schools encourage students who seek admittance into law school to major in philosophy rather than political science—philosophy provides a solid foundation for almost any career choice. International students who study philosophy in the US will find upon completing their degrees, numerous career fields may be open to them. Law, journalism, business, politics, and teaching are all fields in which philosophy degrees are useful. Of course, many students who complete a bachelor’s degree in philosophy decide to pursue graduate work in philosophy. The questions and pursuit of knowledge they begin to experience as undergraduates impassion them. Those who achieve a PhD in philosophy most often continue to study the deepest questions humans have ever asked by working as university professors, imparting that knowledge to the next generation of students. International students often find themselves very welcome in philosophy programs. Philosophy is a field of thought that welcomes bright ideas from any nation and often calls upon students to study the ideas and thoughts of people who speak Chinese, German, French and Greek. As philosophy is a discipline with great thinkers from all over the world, international students will likely find their own unique perspectives and talents welcome when they study philosophy in the US. As philosophy has a long history in the US, many of the best programs are Ivy League universities such as Princeton and Harvard and New York University. When students are looking for the best program to attend, they should not just look at top rankings. They should consider which field of philosophy interests them most and consider which schools offer the best programs in those fields, such as metaphysics, action theory, or ethics. Students seeking undergraduate degrees should be more concerned about the affordability and location of a program, and the overall respect the school has than how well ranked the school is specifically in philosophy. When applying to an undergraduate philosophy program at most US schools the admission requirements are likely to be identical to the schools general admission requirements. In other words, if you are admitted to the school, you can be admitted to the philosophy program for your bachelor’s degree! Some philosophy programs will want students with higher SAT scores, however, the SAT may be optional for international students. Often a writing sample will be required for the highest-level programs. When pursuing a graduate degree in philosophy, expect that the school will want GRE scores, a writing sample, and three letters of recommendation. Make sure to contact the graduate coordinator so he or she can help navigate the differences in application requirements for international students. Contacting the director of the philosophy program for undergraduate degrees or the graduate coordinator for a philosophy program through email will often be an effective way to increase the likelihood of being admitted to a school. Program directors are looking for students who are passionate about learning and will be willing to think deeply. International students often have schooling and interests that add variety and perspectives to philosophy classes. For this reason, international students will often find themselves as desirable candidates for the program. Students who study philosophy in the US should expect to engage in highly interactive courses that encourage discussion and require a significant amount of writing. It is important to note, that due to both economic and political changes in the US, many of the philosophy programs have suffered severe financial cutbacks. 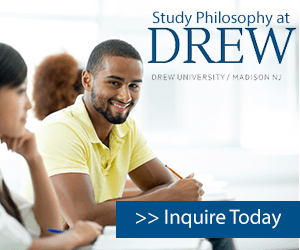 Students interested in pursuing a degree in philosophy should look into the current and future status of the program in order to determine if the program will continue into the future.